Creed 2 Review | The creative burst of Creed reduced to a trickle. "If you really love a movie, you don’t want them to make a sequel." "As it engages even more directly with the events of Rocky IV and the death of Apollo Creed, it grapples again with the demons that Adonis seemed to exorcise in the previous film." If you really love a movie, you don’t want them to make a sequel. You’re happy with where we left the characters and the story. But if everybody else also really loves the movie, they almost certainly will make that sequel. 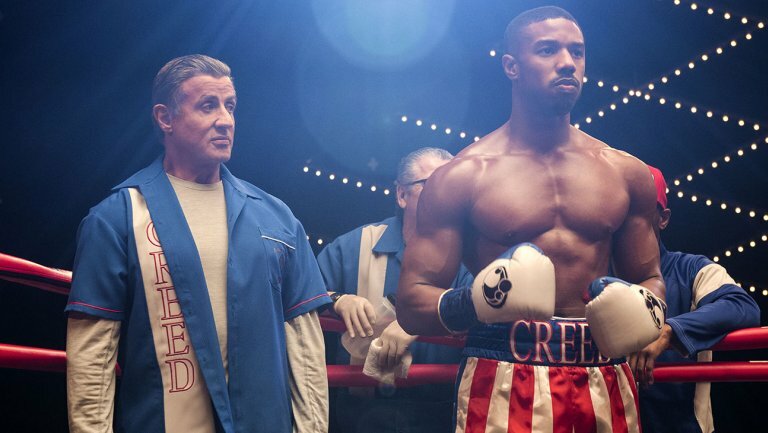 There was a lot of love for Ryan Coogler’s Creed, but that hardly matters, because as the seventh movie in the Rocky series, and with Sylvester Stallone still alive, there was almost certainly going to be an eighth. Tepid responses to previous sequels had never discouraged them from making more. But Creed was also a reboot with a new central character, and that invigorating influx of creative juice was what made it stand out from the six previous Rockys. Absent Coogler, the brainchild behind Creed and the driving force for bringing it to the screen, Creed II is something that has been historically lesser: the sequel to a reboot. Steven Caple Jr. has done his best to honour what Coogler accomplished, but almost inevitably, that initial blast of creative juice now feels like a trickle. The new central character of Creed and its sequel is Adonis Johnson (Michael B. Jordan), the young boxer who learned as a child that he was the illegitimate son of the former heavyweight champion, Apollo Creed, now deceased. Early on in this movie he climbs to the same heights as his father, claiming the heavyweight championship and feeling an odd sense of anticlimax at the achievement. A boxing promoter (Russell Hornsby) puts his finger on why this is. Of the 77 men who have been heavyweight champion, how many can your average person name? Four? Five? If he wants to be the kind of boxer who transcends his sport, Adonis needs a narrative, and boy has this promoter got the right one. That’s staging a fight between Ukraine’s most promising young boxer, who happens to be the son of the man who beat Donnie’s father to death inside the ring back in Rocky IV. That Russian boxer was Ivan Drago (Dolph Lundgren), and his son, Viktor (Florian Munteanu), is even more mountainous and even hungrier. Dad’s got some skin in the game, too, as his loss to Rocky Balboa (Stallone) back then led to national disgrace in his home country, and his wife (Brigitte Nielsen) leaving them. This is not only an opportunity for them to claim redemption, but for Adonis to settle a score. And Rocky? He’s still around, looking sleepy, and forever stacking chairs on the tables of his Philadelphia restaurant after closing time. Is this restaurant ever open? Rocky should have stopped the fight against Drago that killed his friend Apollo, and Adonis stepping into the ring with Drago’s son leaves the retired champion revisiting painful memories and worrying about history repeating itself. Creed II is an instance of history repeating itself. As it engages even more directly with the events of Rocky IV and the death of Apollo Creed, it grapples again with the demons that Adonis seemed to exorcise in the previous film. Apollo Creed certainly isn’t a minor character in the Rocky series, but one wonders what Carl Weathers, who played Apollo and is still only 70 years old, must think about two Creed movies now that are devoted entirely to the legacy of his character. It seemed appropriate in the first Creed, but the second one starts to feel overburdened by a significance that is no longer at the forefront, because it was already dealt with. The repeating of narrative beats is inescapable. As this is now the third movie in which Rocky’s wife, Adrian, has been dead (even though this actress, Talia Shire, is also still alive), the obligatory scene of Rocky sentimentally sitting at her gravestone, updating her on his life, has lost the power of the melancholy plinking piano keys that accompany it. It’s not that his sorrow over her death is no longer valid, just as Adonis’ reckoning with his father’s legacy is still valid. It’s just that we’ve seen it already. Back from the first film is Adonis’ love interest, Bianca, played by Tessa Thompson. A musician losing her hearing, Bianca was one of those new additions to the series that combined a smartly written character with a captivating performer to give Creed a large share of its sense of immediacy. Creed II is uncertain how to progress her character, so it kind of squanders her, which is another disappointment. Steven Caple Jr., the director, does an admirable job of progressing what Coogler started. He may not have his own signature look, but he’s approximated Coogler’s reasonably well. With the possible exception of Bianca, you can’t quibble with the direction they’ve taken these characters, as these seem like logical steps forward. I guess that’s also part of the problem. Just moving forward with trajectories already in motion leaves you without any surprises. 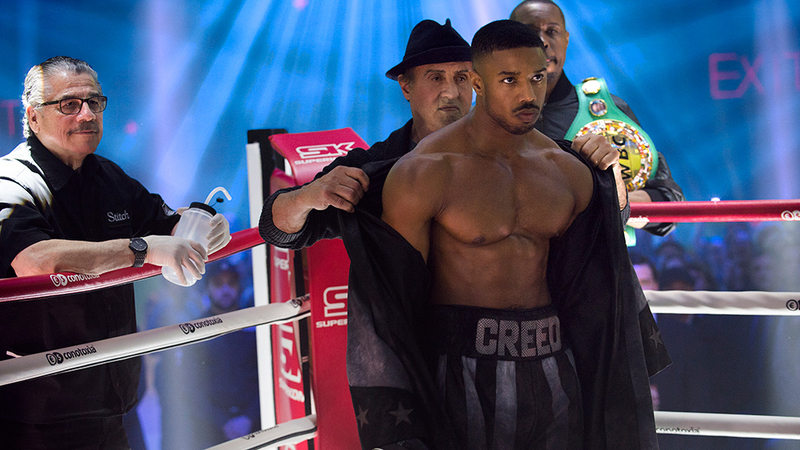 And it would be generous to call anything in Creed II truly surprising. One new thing, however, is that the series finally wants to give us some answer to what happened to Rocky’s son, Robert. He’s still alive but is not in Rocky’s life, and this film finally tries to correct that absence. One wonders if this might have been addressed earlier if the character hadn’t once been played by Stallone’s actual son, Sage Stallone, who died in 2012. Milo Ventimiglia took over the role for 2006’s Rocky Balboa, even though Sage Stallone was still alive then, and has reprised it here. Unfortunately, what might have been a very emotional plot thread for Stallone to act is given short shrift as the script spends its energies instead on rehashing conflicts from the first movie. Stallone still gives a good-naturedly brain-damaged performance, but it’s not going to get nominated for an Oscar this time. 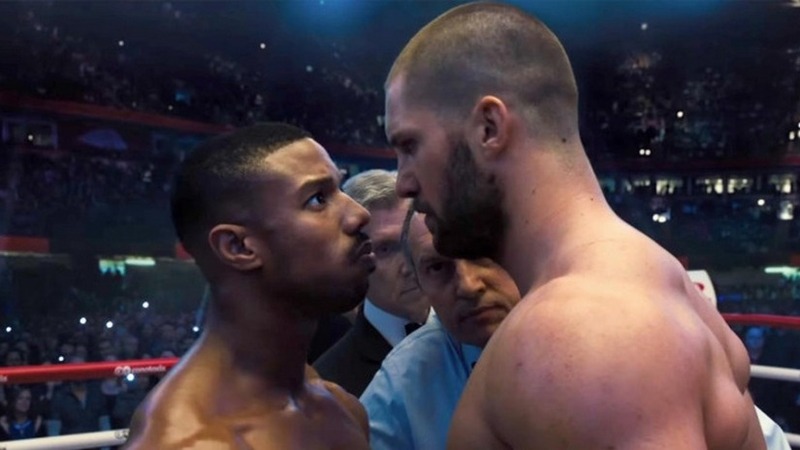 Creed II will likely do well enough to engender a Creed III, and there are some scraps of narrative from previous Rocky movies that can certainly be resuscitated for it. But that inevitable film will also be an inevitable step further away from the purity of inspiration that gave us Creed. The business of making movies will go on, and so will Creed.